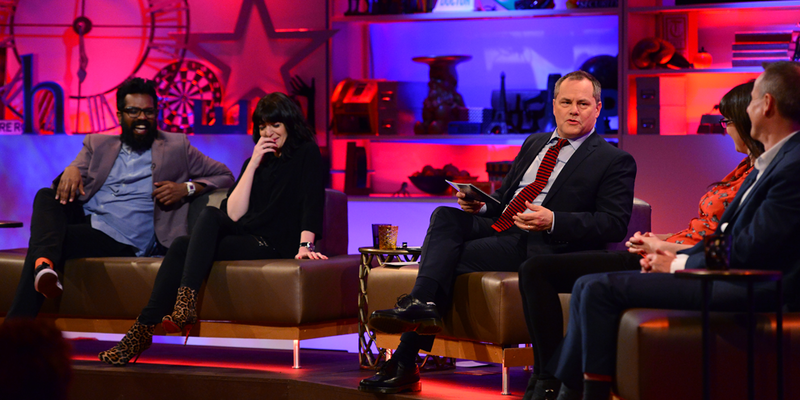 Jack Dee and a panel of four guest comedians turn agony uncle to help a live studio audience solve their problems and shed light on their dilemmas and issues. Nothing is written or prepared and the panel don’t know what the questions from the audience will be until the show begins. Topical specials have covered Donald Trump’s inauguration in 2017, the US Election in 2016, a three part special for the the UK referendum in 2016 and the UK General Election in 2015. Jack Dee’s Referendum HelpDesk aired on BBC Two in the weeks leading up to the EU Referendum on 23rd June 2016. The show saw the comedian-turned agony uncle, help a live studio audience dispel their problems and aimed to shed light on their dilemmas and issues relating to this historic event in British politics. In each episode, Jack was accompanied by a panel of four special guests, including Katherine Ryan, Romesh Ranganathan, Anita Rani, Kerry Godliman, Alex James and Henning Wehn. The series comprised three 30-minute episodes, airing on BBC Two in the run up to the 2015 UK General Election. 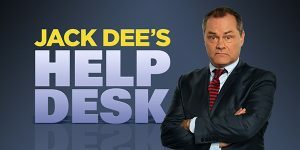 Based on Jack’s own critically-acclaimed live show, Jack Dee’s Helpdesk, the series offered viewers a light comedic take on the forthcoming election. The first episode aired on 13 April 2015 and included special guests Romesh Ranganathan, Claudia Winkleman, Aisling Bea and Jeremy Hardy.